Otsuka Pakistan has launched anti-gastritis and anti-gastric ulcer agent Mucosta (Rebamipide) 100mg tablets in Pakistan which is a novel product of Otsuka Japan. It is considered a major breakthrough for Otsuka Pakistan which has introduced a product after ten years. Rebamipide is an Anti-Gastric and anti-gastric ulcer agent which increases endogenous Prostaglandins, scavenges free radicals and suppresses gastric mucosal inflammation and is used as a basic drug treatment for gastritis and gastric ulcer. 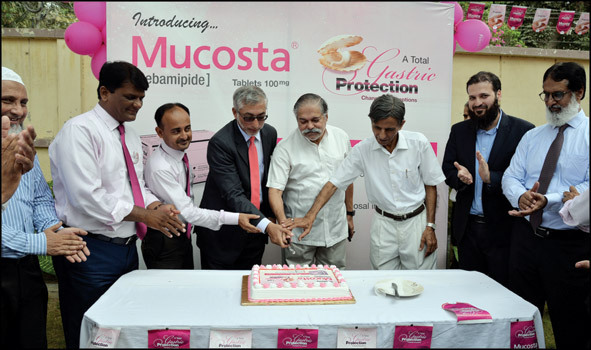 To formally announce the availability of Mucosta, Otsuka Pakistan arranged a cake cutting ceremony at Otsuka Head office on 25th June, 2018 which was attended by, Mr. Hanif Sattar, CEO, Mr. Tariq Shahid, Director Marketing & Sales, Mr. Khalid Munir Head of Sales, Marketing and Sales Team of Otsuka Pakistan besides Mr. Mehtabuddin Feroz, Mr. Yahya Feroz, Managing Director, Mr. Hamid Yahya Feroz, Director Distribution of Hospital Supply Corporation, distributors of Otsuka Pakistan. anti-gastric ulcer agent Mucosta (Rebamipide) 100mg tablets in Pakistan. Mr. Hanif Sattar, Chief Executive Otsuka Pakistan speaking at the occasion said that it is the happiest day for Otsuka Pakistan, that we have been successful to announce the availability of Mucosta in Pakistan. Based on the corporate philosophy of “Otsuka-people creating new products for better health worldwide,” we will be in a better position to accomplish this mission with availability of this novel molecule. Mr. Yahya Feroz addressing the participants said that after a long time a we have been able to introduce a best product in the market which has a great potential. He urged the sales team to focus on training and set targets to be achieved. Due to various reason foreign investors are not coming to Pakistan, we should see which product is required in which area and try to remove our weakness. Mr. Hamid Yahya Feroz stated that Mucosta will be a block buster product for Otsuka Pakistan. We had very difficult time but now we are progressing satisfactorily and come out of this difficult situation and pray almighty Allah to help us to do our best to help the ailing humanity. announcement of launch of Mucosta in Pakistan on June 25, 2018. Mr. Tariq Shahid addressing the participants said that there are great opportunities and we should avail them. Preparation to win is very important, we have to compete with companies having huge resources, and it is only possible if we set our targets and work with devotion and strategy to achieve our goals. Mr. Khalid Munir said that 2018 will be a game changer year in OPL history. We have achieved our targets of two major launches, which includes Aminoleban and Stents and will touch 200 million figure in each segment. We are aiming to achieve hundred million target of Mucosta in the year 2019. 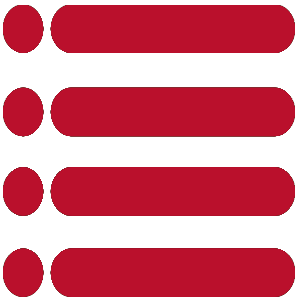 Vision of our CEO is to establish IV Infusion, Medical Devices and Nutraceuticals as an independent companies in next five years, he added. Dr. Arooj Aslam Product Manager Otsuka Pakistan conducted the ceremony and briefly highlighted the salient features of Mucosta.